Knowledge is not skill. Knowledge plus ten thousand times is skill. The idea of 10,000 repetitions as a path to mastery is not new. It has been a principle of Eastern thought for a very long time and has been made popular in business by Malcolm Gladwell and in photography by Steve Simon. It boils down to practice makes perfect. This principle is simple to understand. But, given our busy lives, it can be difficult to put into practice. And, too often, we tend to look for the perfect practice, particularly as photographers. As a result, we wait. And, we waste time. How to fix this? How to stop looking for the perfect practice and just log the time, make the mistakes and grow? There are lots of great opportunities to volunteer your visual storytelling skills within your community. Volunteering takes the focus off of you and your inadequacies real or perceived. Instead, the focus falls on the needs of your subjects and the service you are providing. And, many of these projects are supported by established shooters from who you can learn, by exposure to their process and, perhaps, through direct mentorship. So, by contributing to a volunteer photography project, you can make a date with yourself to practice and remove the pressure to be perfect. Below, Ive compiled a list volunteer projects worth considering. But don’t limit yourself to these projects. Poke around your local community for something that speaks to you. And, if nothing exists which lights your fire, start one of your own using some these examples as a model. TRIGGER WARNING: Please be advised, some of these volunteer projects deal with emotionally difficult subject matter. Now I Lay Me Down To Sleep: Remembrance photography for parents suffering the loss of a baby. Family Images for Lasting Memories (F.I.L.M): Family portraits to those who may have a limited time left with their loved ones due to a life-threatening illness. Shelter Me Photography: Dedicated to changing the way people view shelter animals through compelling, professional photographs. Meet Your Neighbors: A worldwide photographic initiative dedicated to reconnecting people with the wildlife on their own doorsteps. 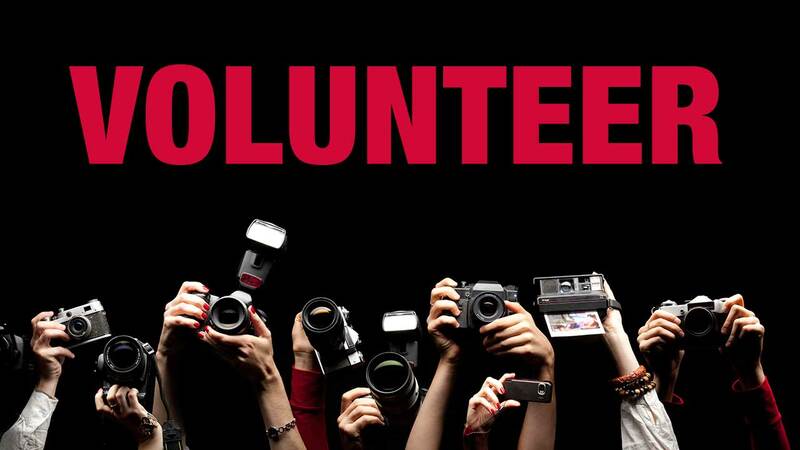 Know of a great volunteer opportunity for photographers and other visual storytellers? Share it in the comments. Reblogged this on elections in india. Volunteering is a great outlet for creativity! The volunteer is served on many levels and the community gains as well! Mr. Daulton is absolutely correct; volunteer and you will take many more shots and improve your skills greatly! I work at a small university with an even smaller athletics department. For the past 3 years I have volunteered to shoot non-game events for the cash-strapped department. I don’t know the exact breakdown of personal versus volunteer shots but in previous years I averaged around a thousand shoots a year. Since I have been shooting about 7,000 the first year, 8,0000 the second and last year over 16,000 shots! That is remarkable experience and practice that would have taken years to achieve at the more leisure rate I was shooting. And the gratitude from the department is enormous, very rewording. Now I am looking for other ways I can use the new skills to help. What an inspiring post. I’ll have to see if anything like this exists in the UK. Locally, my PAC (Photographers Adventure Club) has helped Rotary with Christmas parties for foster kids. It’s fun, and memorable, and a real gift. Glad everyone found this useful!